Explain this joke to me. Whenever you hear that there is an infinite amount of something you should assume that someone has accidentally divided by zero somewhere or they are just mistaken. 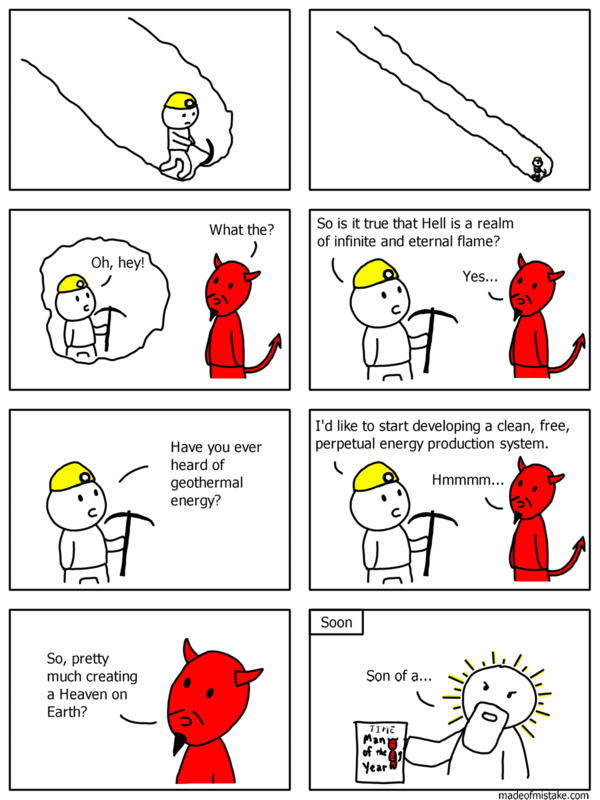 In the case of Hell there is actually only like 69,000 years of fire and heat. That's pretty good but nowhere near the infinite amount claimed.